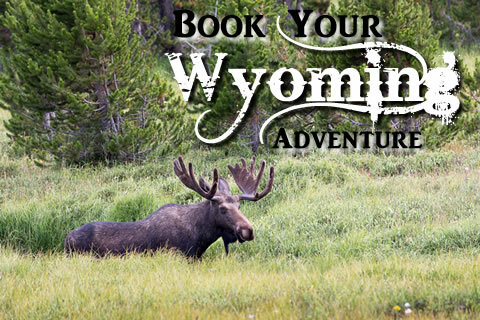 We are located in Alpine, Wyoming. Just a short drive from Jackson Hole. with Jackson Hole Outfitters. Join the excitement! Horseback riding is the best way to view the beautiful Greys River area. Choose from our Half Day Ride, Full Day Ride or Extreme Full Day Rides. We ride 7 days a week from June 10 through Labor Day. Ready for an adventure? 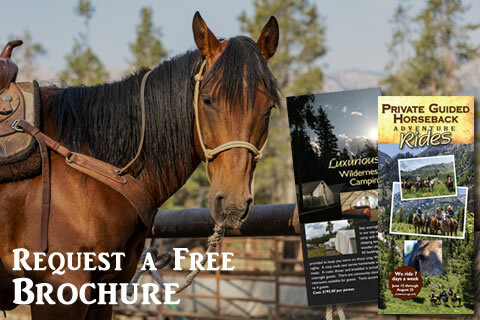 We will mail you a free full-color brochure about our exciting trail rides. 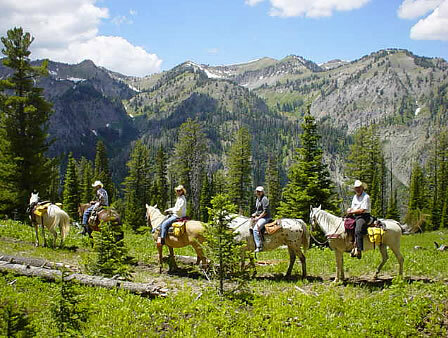 1/2 day, full day, extreme and overnight trail rides in Wyoming back-country. 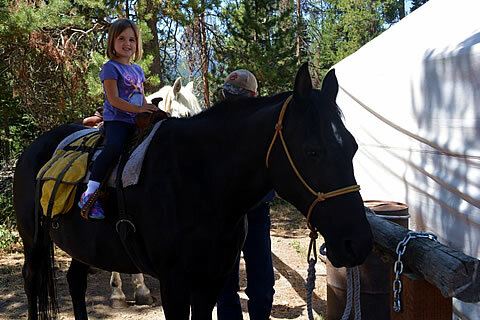 Our trail rides feature small groups & personalized service. Reserve your trail ride online now. We are committed to providing the best service possible and our seasoned staff is dedicated to carrying on this tradition. Please join us for the excitement of riding through the vast scenery of the Wyoming Mountains with Jackson Hole Outfitters. Horseback riding is the best way to view the beautiful Greys River area. Riders often see mule deer, elk, and the occasional moose in their natural habitat on these rides. There are numerous trails that accommodate riders with all levels of experience from beginner to the most advanced. We will match you with a good horse and head out on the trail. What sets us apart from others is that our rides are customized to your riding abilities. If you book as a single you ride as a single and groups are never lumped together with another group. This policy assures you that your riding vacation will be the best possible experience. You can also experience the thrill of unguided fly fishing on the Greys River, stay overnight in our camp and enjoy the trails the Greys River has to offer. We ride 7 days a week from June 10 through September 10th. Permittee of Bridger Teton National Forest, Greys River District. © Jackson Hole Outfitters - A Dvision of SNS Outfitter & Guides. All Rights Reserved.